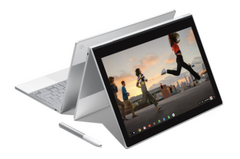 Google today announced the Pixelbook, their premium Chromebook that's has been the subject of a relentless stream of leaks over the past few months. The 2-in-1 Chromebook features a high-density 12.3, 3:2 aspect ratio display and powerful 7th generation Intel Core series processors. During one of the most leaked events of the year (and possibly in tech history), Google today announced the Pixelbook, a premium 2-in-1 Chromebook. As rumors and leaks described earlier this month, the 12.3-inch notebook will feature a powerful Intel Core-series CPU and a convertible form factor to turn the device into a tablet. The notebook is fairly thin and light at about 10.3 mm thick and 1.1 kg. That lightweight and thin profile will come in handy when users fold the display all the way back to use the device in tablet mode (a lá Lenovo’s Yoga notebooks). The Pixelbook runs the latest version of Google’s ChromeOS and will be able to run Android apps via the Google Play Store. Perhaps the biggest addition showcased by the Pixelbook is the integration of Google Assistant into ChromeOS. There’s a dedicated assistant button on the lower-right of the keyboard deck that will bring up Assistant for context-sensitive typed and vocal commands. There are some notable missing features, however. The Pixelbook looks to only have two USB Type-C ports (likely Thunderbolt 3-enabled, but this could not be confirmed at press time) and a headphone jack. That’s it. There’s also still no biometric login device - users will have to type a password to log in. In an age where almost every premium notebook has either a fingerprint sensor, a retinal scanner, or some other form of user authentication, it’s strange that ChromeOS still doesn’t support these features. Google also announced the Pixelbook Pen, a Wacom-based stylus with over 2,000 levels of pressure sensitivity. Google touted the improved latency of the Pixelbook Pen, which is down to a mere 10 ms. 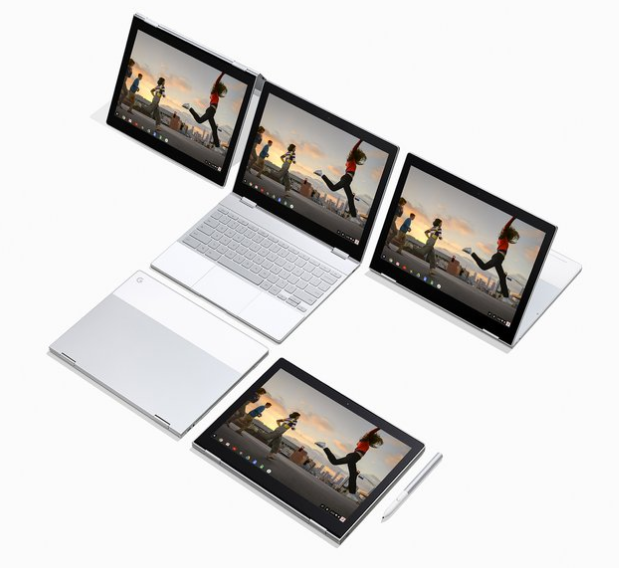 However, like the Surface Pen and Apple Pencil that it’s mimicking, the Pixelbook Pen is not included with the Pixelbook and must be purchased separately. The Pixelbook is definitely not for the faint of heart (or wallet). The premium Chromebook starts at USD $999 and can run all the way up to $1,699 for the top-tier configuration and will be available on October 31st. That’s a lot of change for something that runs Chromebook, but as we recently explored, modern Chromebooks are quite capable and growing in usability. The Pixelbook Pen will be available for $99.